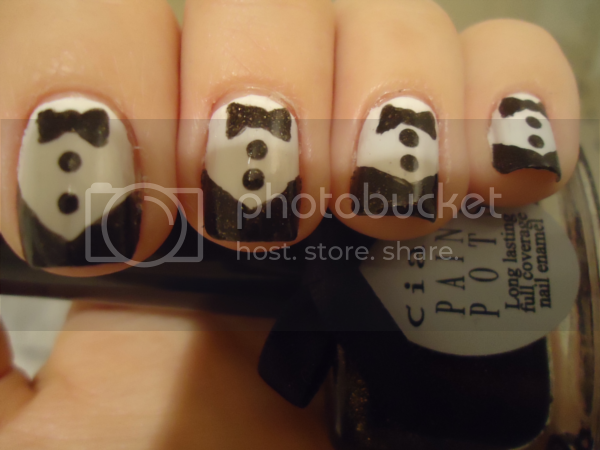 A couple of weeks ago I showed you the new nail art brushes and dotting tools I bought. 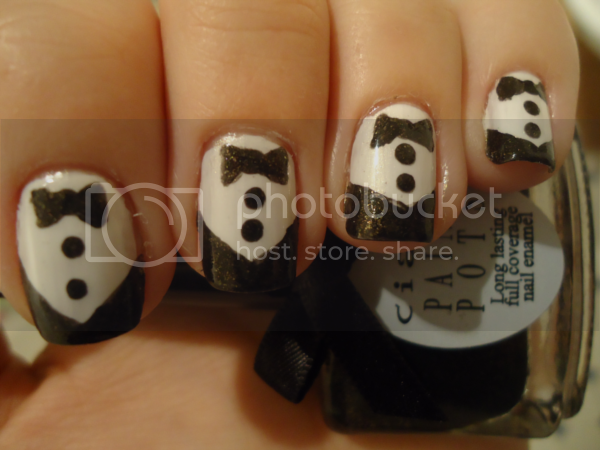 I've been doing some experimenting since then, and today I'm showing you tuxedo nails! I swooned when I saw Zooey Deschanel sporting them at the Golden Globes, and I've been wanting to recreate them ever since. I used a tutorial from the wonderful Mary at Swatch and Learn, which you can find here. 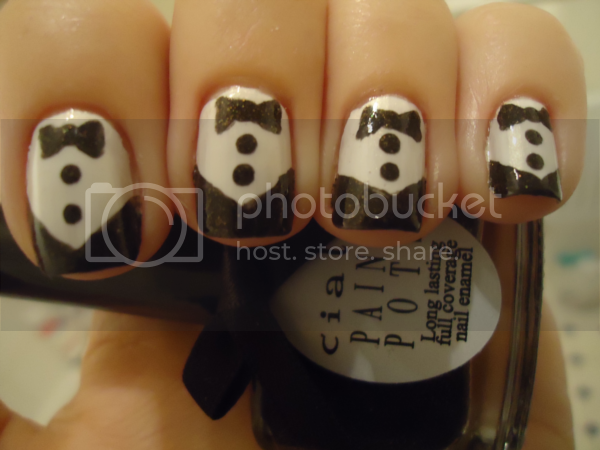 I started with one coat of OPI Alpine Snow, a white creme, and followed it with a coat of a white shimmer, OPI Oh So Glam! - although you can't really see the shimmer in my photos, it's more obvious in person. 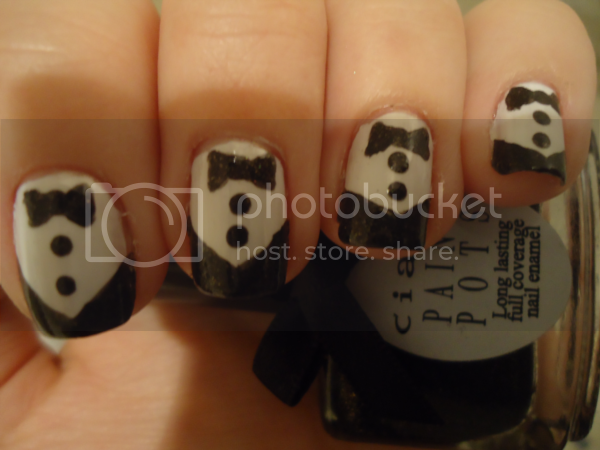 I followed the tutorial a bit out of order, so I did the bow ties first using Ciate Twilight. Twilight is black with fine gold glitter, which I thought would be fun to use instead of a basic black creme. I then used Twilight to do the jacket (which I freehanded using one of my new brushes. In hindsight I should have taped it off, as it came out a bit wonky), and finally a dotting tool to do the buttons. OK, it's not perfect, but for a first effort I'm pretty chuffed with how it turned out. I think the more I try different nail art designs, the more used to it I'll get, and hopefully the more proficient I'll get, too!